This is Episode 82 of Succotash, the Comedy Podcast Podcast, and I AM your host, Marc Hershon. Terribly sorry for the delay between shows. My wife and I have been in the throes of moving - not far, really only about 10 minutes from where we were living - but you know what moving can be like. Especially for a podcaster - you misplace one box with important equipment in it and it's like your show never existed. In addition to our catch-up session with Hal, we've got some clips and not one but TWO of our Bursts O' Durst with political comedian Will Durst. Glad to see our old pal Craig Shoemaker vaulting into the top 100! We had him as our Special Guest back in Epi29 – maybe we can rope him into another interview soon. I love it! Anyone else have an idea, you're going to have to go Doc Trow one better. Plus he and his co-host cut us a special clip from their Casa Mirth podcast for this episode! As you may know, I’m one of the gang of reviewers that contributes to This Week In Comedy Podcasts up at Splitsider.com every week, along with Zoe Schwab, Pablo Goldstein, Josh Sorokach, Robert Schoon, Scott Reynolds, and Jenny Nelson. This week I reviewed What Say You?, hosted by Brian Quinn and Sal Vulcano. If you watch Impractical Jokers on TruTV, these are two of those guys. And Brian is also part of the Tell ‘Em, Steve-Dave podcast on the SModcast network. What Say You? Is just these two guys – Brian and Sal – talking about whatever comes into their heads. The lastest epsiode has a story about a pair of women’s pants that Sal received via UPS by accident and what he ended up doing about them. It’s, well, not normal… And that’s how it starts. The story get so funny that Brian ends laughing so hard that he actually ends up throwing up. As I concluded on in my review on Splitsider for this show: Podcast Gold. I always appreciate when a podcast wants to send along a clip of their show. Promos I'm not as keen on but one thing that only happened afew times in the almost three years that I've been doing Succotash is someone taking the time to put together a custom clip. Dr. Normal Trousers and his partner-in-podcasting River Zambezi have done just that. 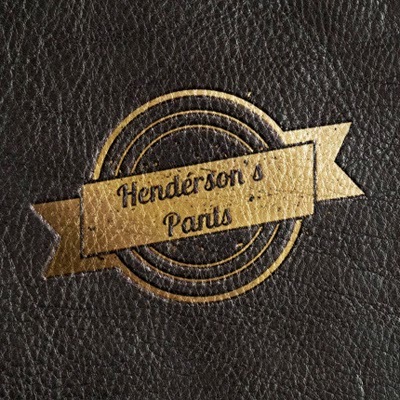 Coupled with the Henderson's Pants logo that Trousers did, Casa Mirth ranks right up there with the best! 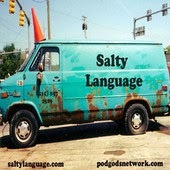 One of our frequent retweeters is the Salty Language podcast with Bryan Stewart, Tony High, and Tate Hayes. These guys and a gal talk about a lot of stuff and recently they were on about The Beatles big 50th Anniversary on the Ed Sullivan show. Tony isn’t on this clip which our Associate Producer Tyson Saner clipped for us, but you’ll get the idea of the show’s flow. A longtime supporter of Succotash is Davian Dent, the host of both The Bitter Sound podcast as well as co-host of The Strange Times podcast. The Bitter Sound is a truly strange and wonderful combination of odd ramblings, ambient music, disturbing soundscapes and visits from a variety of people. In fact, our own announcer Bill Heywatt is slated to be a future guest on the show. 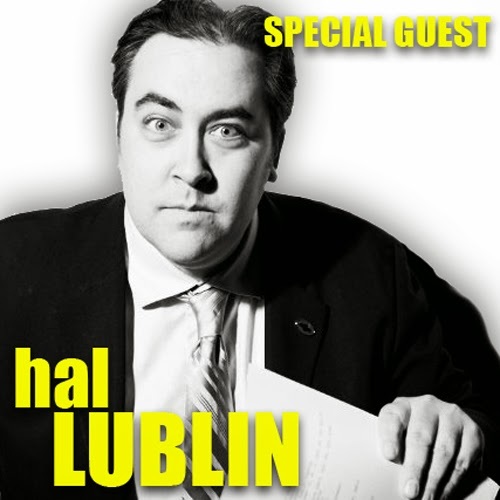 Not too many clips this episode but the Hal Lublin interview runs about 50 minutes, so you're still getting a lot of show! Enjoy…and remember to please pass the Succotash! Welcome to Epi81 of Succotash, The Comedy Podcast Podcast. I, Marc Hershon, am not alone this week. 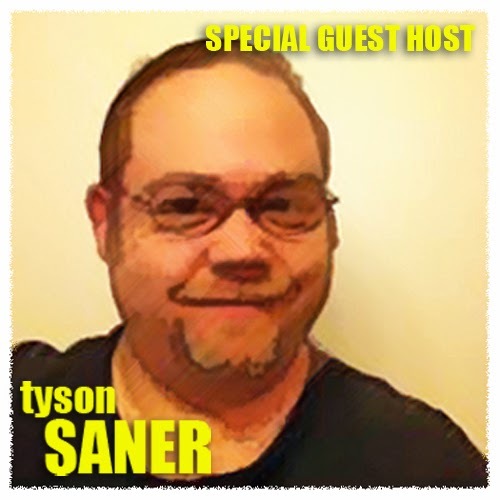 Joining me as co-host for the show, via Skype, is Associate Producer Tyson Saner! It was about a year ago that Tyson began sending me a stray clip or two, testing the waters to see if his choices jibed with the "flow of the show". And it wasn't long after that I recognized his value in helping me to canvas the vastness that is Podcastland in our ever-widening efforts to sample comedy podcasts. By the end of last summer he'd been named our Honorary Associate Producer. He supplies the show with at least three and as many as a half-dozen of the clips you hear every week, as well as giving me valuable background info on both the specific clips and the shows from which they've been harvested. At the beginning of the year he became our ACTUAL Associate Producer – as you can now hear in Bill Heywatt's closing credits – and this won't be the last time we hear his dulcet tones on the show, methinks. In the course of the show we find out a little of Tyson's background, how he stumbled into being a massive podcast listener and fan, how he found Succotash and what really catches his attention when it comes to deciding to click that Subscribe button on a show. PLUS we have a Special Bonus Interview at the very end of this epi! Keep listening after Bill Heywatt says "Goodbye!" to hear my interview with Cole Stratton, co-organizer of the 13th Annual San Francisco Sketchfest and co-host of podcasting's Pop My Culture. We were backstage (or "mid-stage", actually) following his appearance in Speechless (a show I help produce) at the Sketchfest. Our chat is only about nine minutes long but, as it comes at the end of the longest Succotash episode yet recorded, it's a while getting there. I guess there WAS a major jump up the charts, actually, if you look at Succotash's nuimbers. We went from #5945 last week to #5107 this week, so that's pretty sweet! The 2nd Annual Stitcher Awards were last week and I attended the ceremony, which was held at The Chapel in San Francisco. Many awards were given out for categories across the spectrum. I recount the winner in this episode of Succotash, but you can also go see the list of top prize getters on the Stitcher blog. In this episode's installment of comedian Will Durst's running commentary, he takes some potshots at the ultra-rich. For my portion of This Week In Comedy Podcasts over on Splitsider.com, I've reviewed The Nerdist with hosts Chris Hardwick, Jonah Ray, and Matt Mira, interview B.J. Novak, actor/writer from The Office and the author of a new book of short stories. Vintage SModcast (from July 10th, 2008) wherein Kevin Smith turns ordinary circumstances into "What If?" adventure time, pushing Scott Mosier furthur and further outside his comfort zone as the "What if"s become more and more unlikey, bizarre and often outrageous. 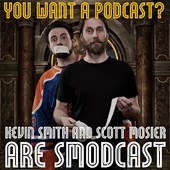 The idea behind this show (form the SModcast universe) is that Kevin Smith needs educating so Andy McElfresh brings in stories and information from around the world while Kevin asks as many questions as he possibly can which Andy also attempts to answer. Hilarity Ensues. This clip is of Andy attempting to apply real world diagnoses to the cast of The Cosby Kids. 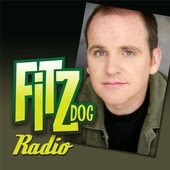 Bobcat Goldthwait’s always entertaining and this time Greg Fitzsimmons has him. We get an interesting glimpse into the life of the once celebrated madman comedian whose ambition these days is all about making and directing movies. 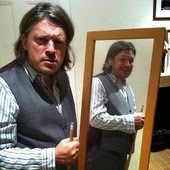 To fuel his interest, he’s back in the clubs, which leads to an interesting series of comedy club anecdotes. This panel-based comedy commentary show features four variously "challenged" hosts – Kathy Buckley, Tobias Forrest, Geri Jewell and Mark Povinelli – who take off on, debate, and otherwise have their way with a variety of topics. In this clip, it's about marriage equality and Muppets. 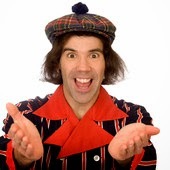 Nardwuar's chats with musicians are among some of the most unique in the history of music interviews. He plays his own version of This Is Your Life complete with memorabilia and gifts for his guests. In this clip, he's speaking with eclectic musician Jaap Blonk. Another fine British recommendation from our friend @Good_Podcasts, Do The Right Thing is a comedy panel show hosted by Danielle Ward with team captains Michael Legge and Margaret Cabourn-Smith. Guest team members this week are Jason Manford & Sara Pascoe. In the “Agony Aunt” sequence this episode, the panel answers a letter about how to deal with a free-loading, loser former best friend. Hosted by Scott Aukerman, the premise of the show is simple: Scott interviews celebrities, musicians and comedians. Another comedian or performer comes in after the initial interview and pretends to be someone else – sometimes a famous actor, but often a character from a television show, or sometimes a brand new original character. The featured guest is Park & Rec's Nick Offerman, who is interrupted by a whiny, pissy Paul Giamatti…voiced to perfection by James Adomian. This show was one of the six podcasts nominated for Best Comedy Podcast for the recent Stitcher Awards. The winner was Comedy Bang Bang, but it must mean something that Tom and Dan got in there. They’ve got a subscription model show and a free version and they do their show out of Orlando, Florida. In this clip, they ruminate about Salem witch trials, a hot new restaurant idea, and they also talk about making it big in Nashville with one of their songs. Got a note AND a clip in the Tweetsack this week from the Adam & JP podcast: “Hey Marc, I just recently found your show and I love it. Really great work! In advance, thanks for giving us a shout out. Basically, we talk all things geek (gaming, comics, movies, music, pop culture) with a comedic slant. We host a two hour radio show on a local station every Saturday morning and do a weekly podcast. I have attached a clip from our latest episode, in case you wanted to use it. Thanks again and we would love to chat with you on the show sometime to discuss your show." <signed> J Patrick Pretty funny stuff, guys! That's a pretty full show! Almost TWO hours of Succotash! Enjoy it, savor it, and please remember to pass the Succotash along, too!